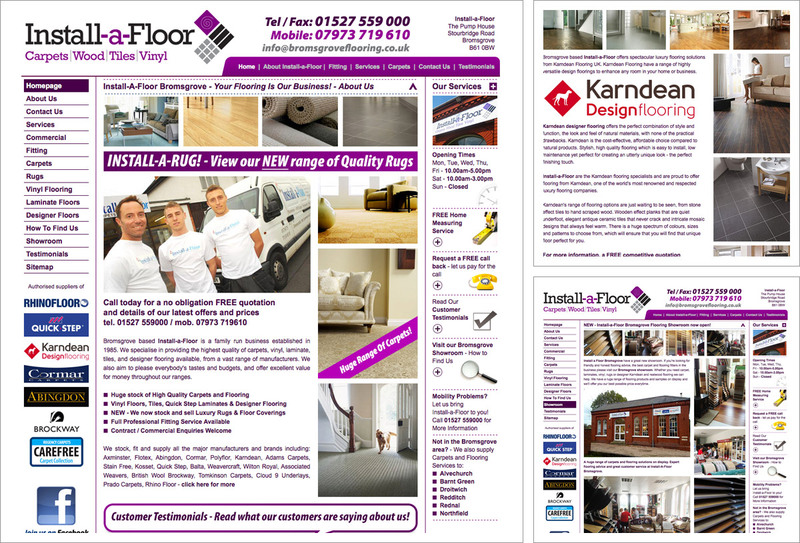 Bromsgrove based carpet and flooring specialist Install-a-Floor wanted to get their business online and give their online competitors a run for their money! Enhancements to the site include the addition of colour choices for leading carpet brands Abingdon, Brockway, Regency and Cormar Carpets and a page to promote their range of Quickstep Flooring. Install-a-Floor gets a branding facelift!